Our Tanzanian visitors joined us for our recorders lesson today and sang along to lots of our songs. We thoroughly enjoyed having a Swahili lesson from Mr Ntulwe and Madame Msemo. 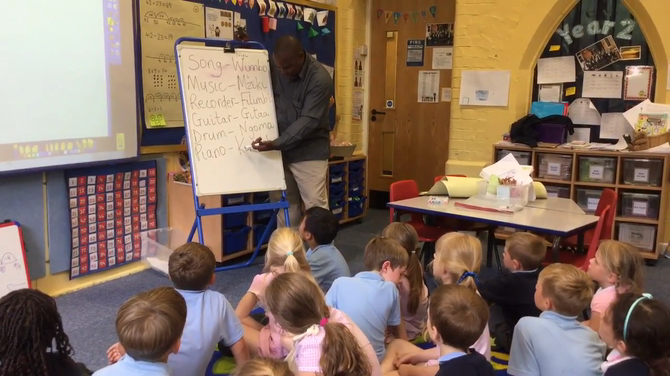 They taught us some words relating to our music lesson. In return we showed them some of our maths games and taught them how to use a hundred square to answer different questions. We also taught them how to play times tables pairs. A lovely afternoon had by all!